Hall’s Safe Company is a family own business that has been committed to keeping your valuables safe from both fire and theft for over 35 years. While we offer safes which uniquely display your collections, our first concern is keeping your valuables secure. When considering a safe please ask yourself what it is you are protecting and from whom and what you are protecting your valuables from. Whether it is guns, coins, jewelry or even private documents, our safes will always keep your valuables secure. Our heavy-duty plate steel safe with an exquisite finish will fully protect your family and business valuables. Hall’s Safe Company did not go with the “mass -production, assembly line” route like many other safe companies follow, we choose to build our safes one at a time. We believe the difference is worth the time and effort. We give our customers a quality safe made from the finest plate steel. 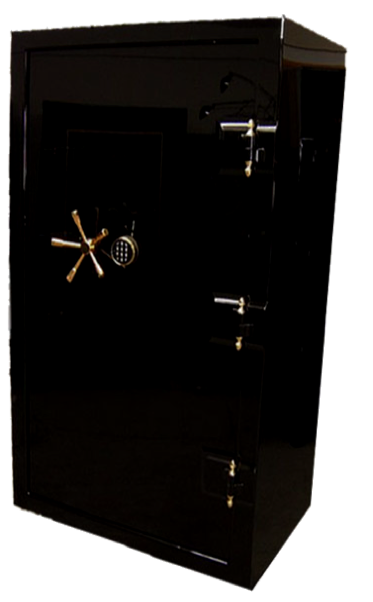 We build specialty safes to each customer’s individual wants and needs. Size is no problem. If you want a gun safe, you can buy one anywhere. If you want the World’s Finest, think Hall’s Safe Company. From the heart of California’s Gold Country,where protecting what you value still matters.